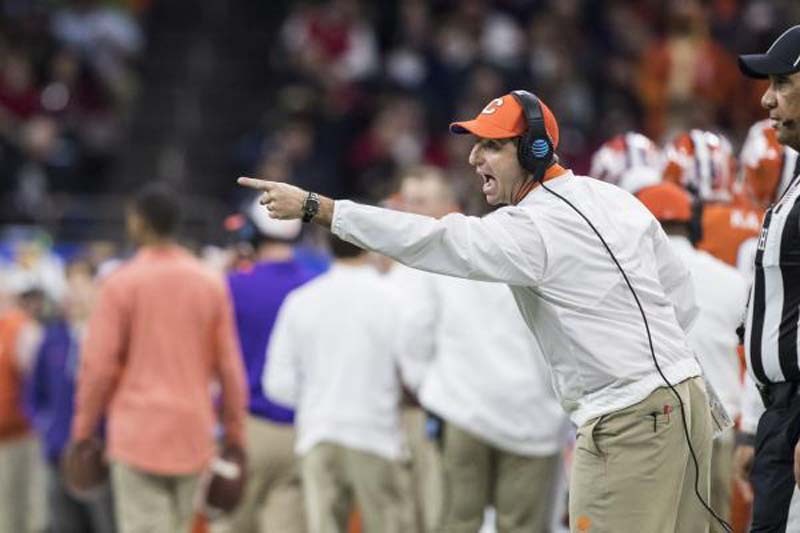 Miami and Clemson played each other in last season's Atlantic Coast Conference championship game, and they are expected to meet again in this year's title game. In a media poll released Monday during the ACC Football Kickoff last week, Miami and Clemson were picked to win their respective divisions, with Clemson favored to take the ACC title again. In the Atlantic Division, Clemson received 145 of 148 first-place votes to easily pull away for first place ahead of Florida State, which received one first-place vote. North Carolina State received two first-place votes but was third in the overall voting. Miami received 122 first-place votes and 160 total voting points to lead the Coastal Division. Second-place Virginia Tech obtained 16 first-place votes, while Georgia Tech, picked for third, received eight first-place votes.